Entry Enter the John James Medical Centre campus from Strickland Crescent. The parking area is on the right hand side next to the entrance to the main reception. 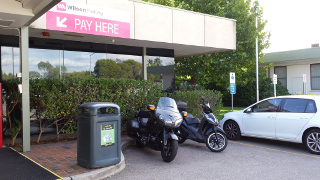 It is not signposted but staff assured me that it is allocated motorbike parking.